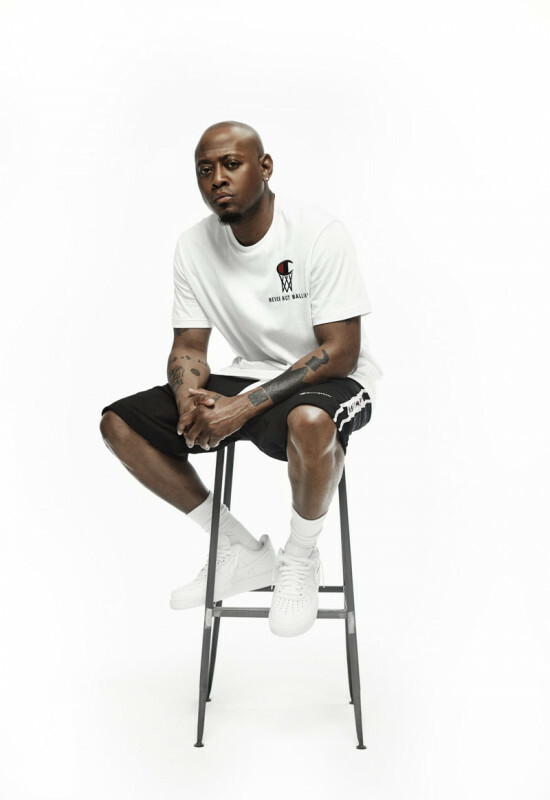 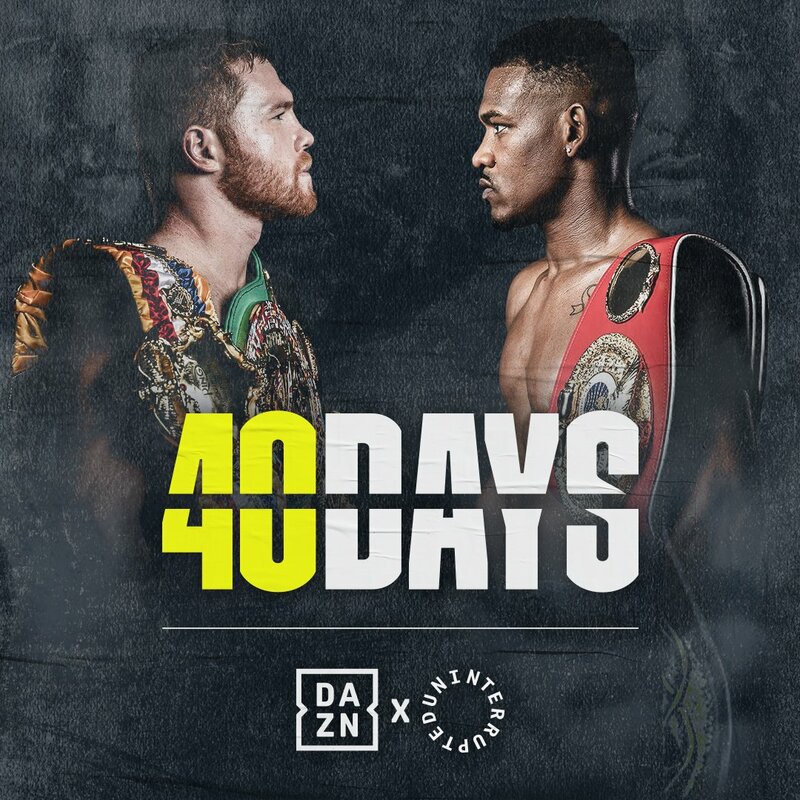 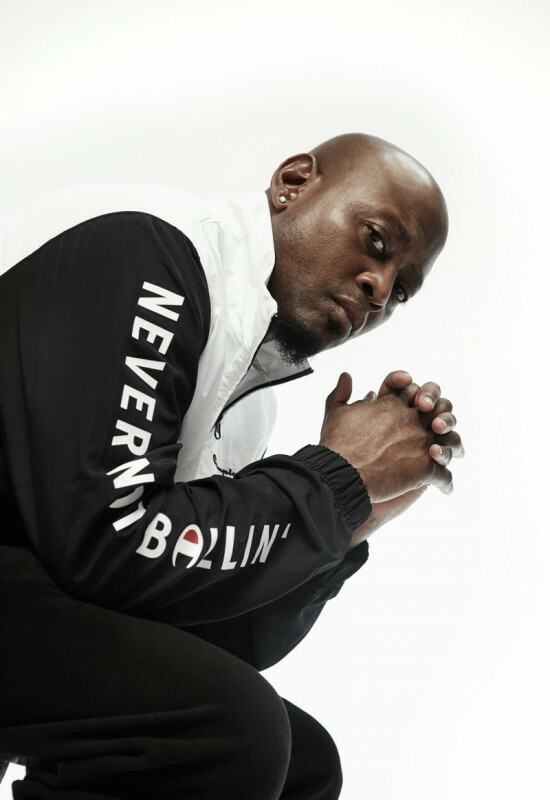 You can say film star Omar Epps has a debt to sports — his fourth, fifth and sixth film roles ever were playing a college football star (The Program), a flashy baseball legend (Major League II), and a promising track athlete (Higher Learning), respectively. 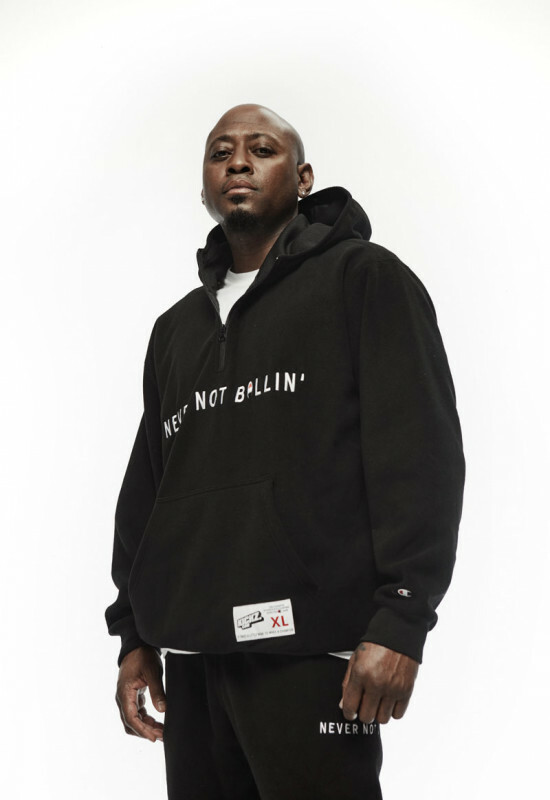 However, his real claim to fame as a fictional sports star was his legendary role as Quincy McCall in Love & Basketball. 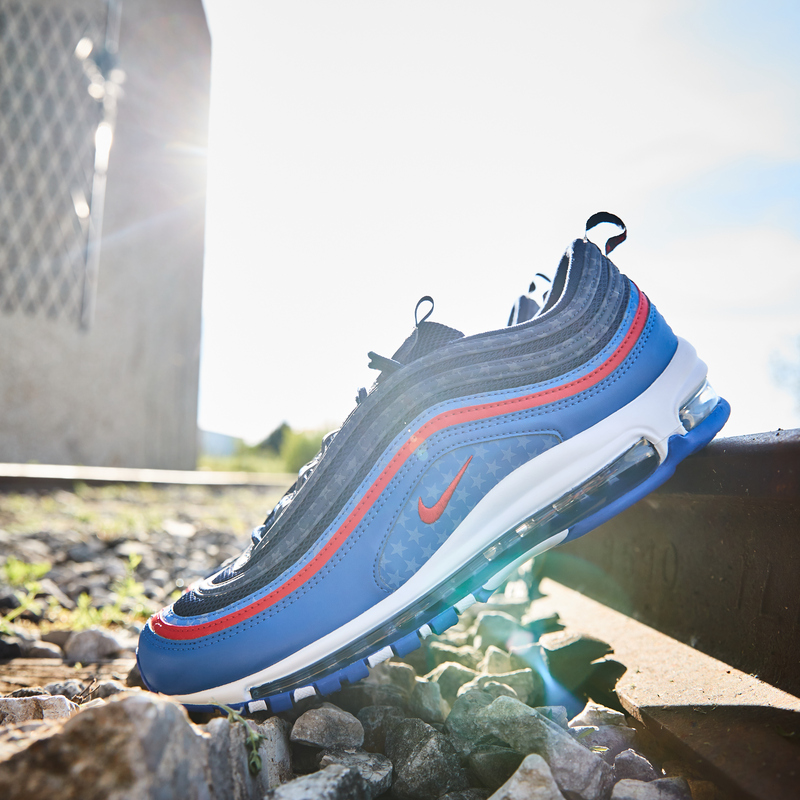 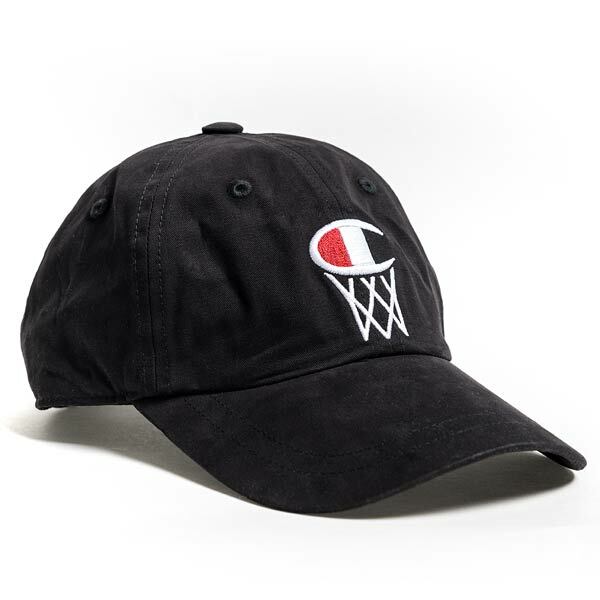 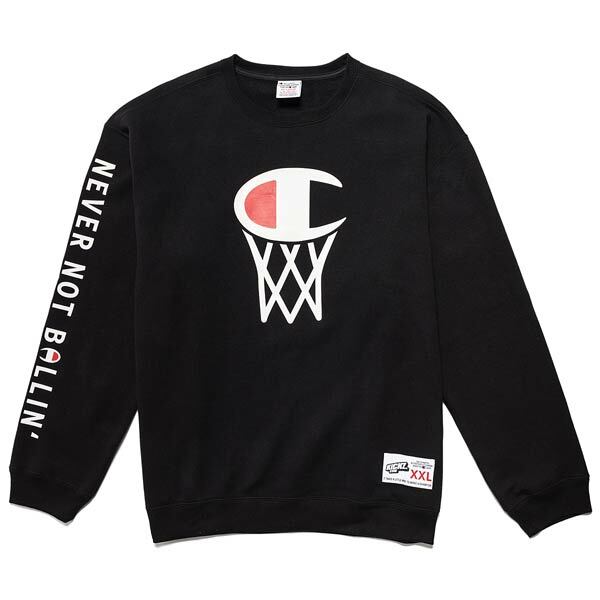 Thus, being the leading man for this ’90s-themed, basketball-inspired capsule collection between KICKZ and Champion is definitely one match made in scripted heaven. 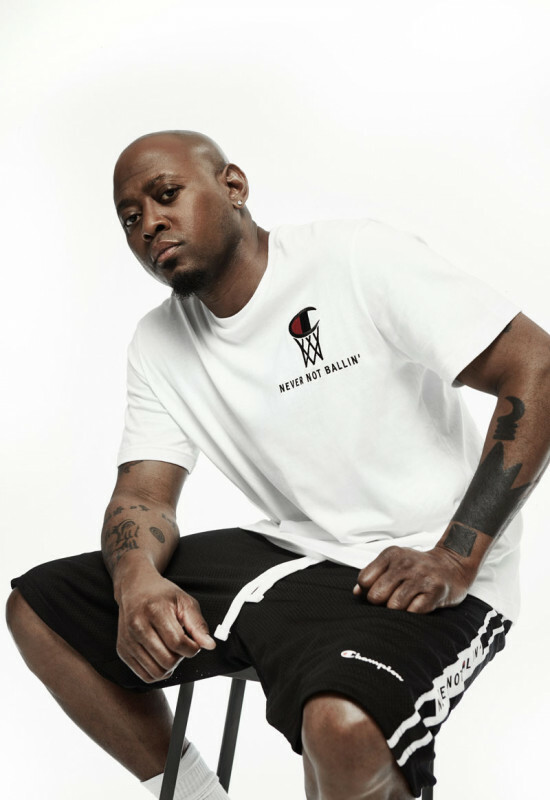 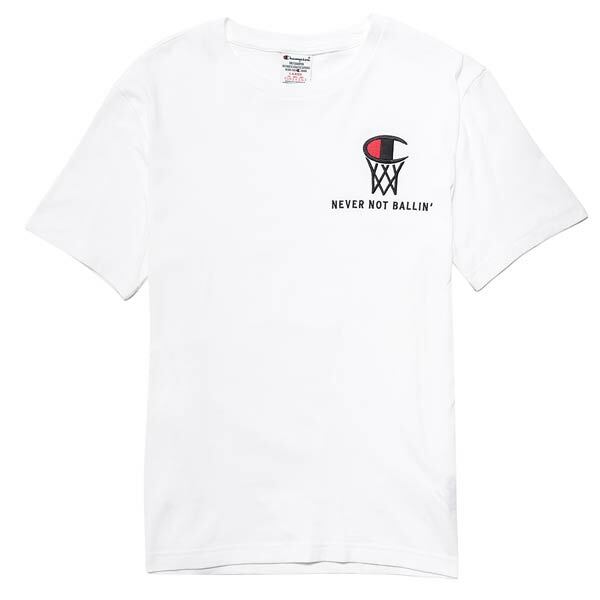 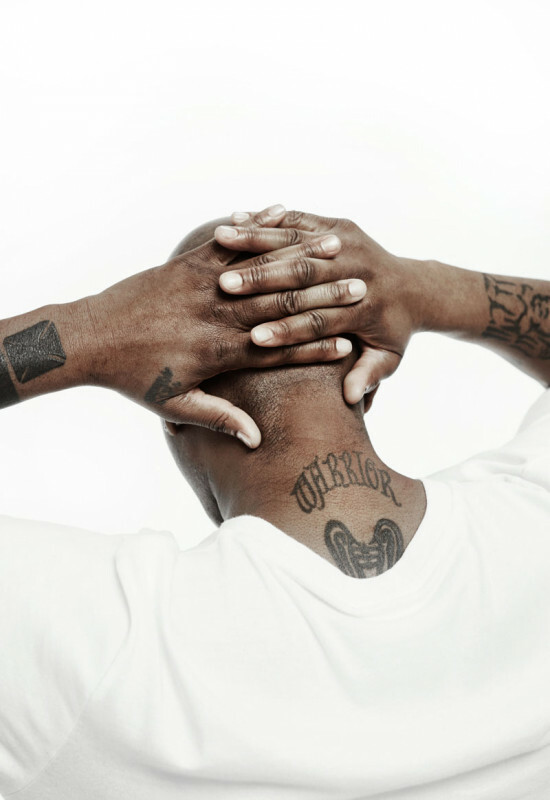 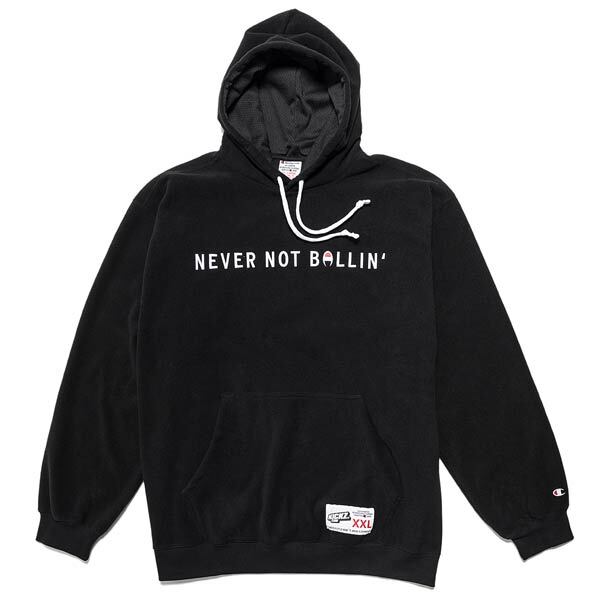 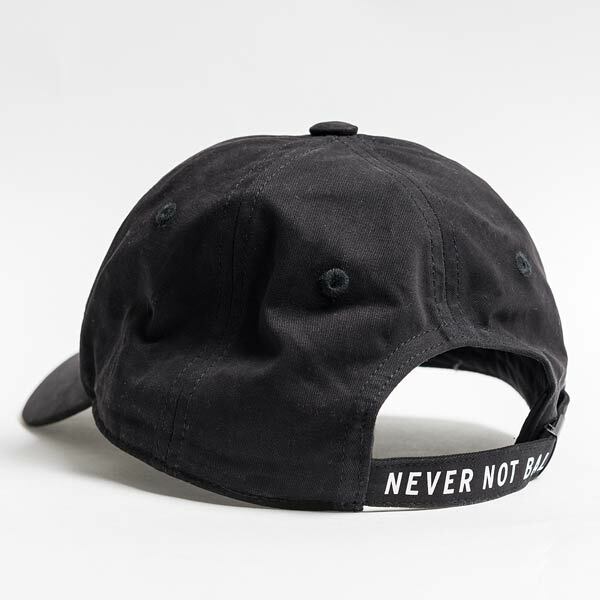 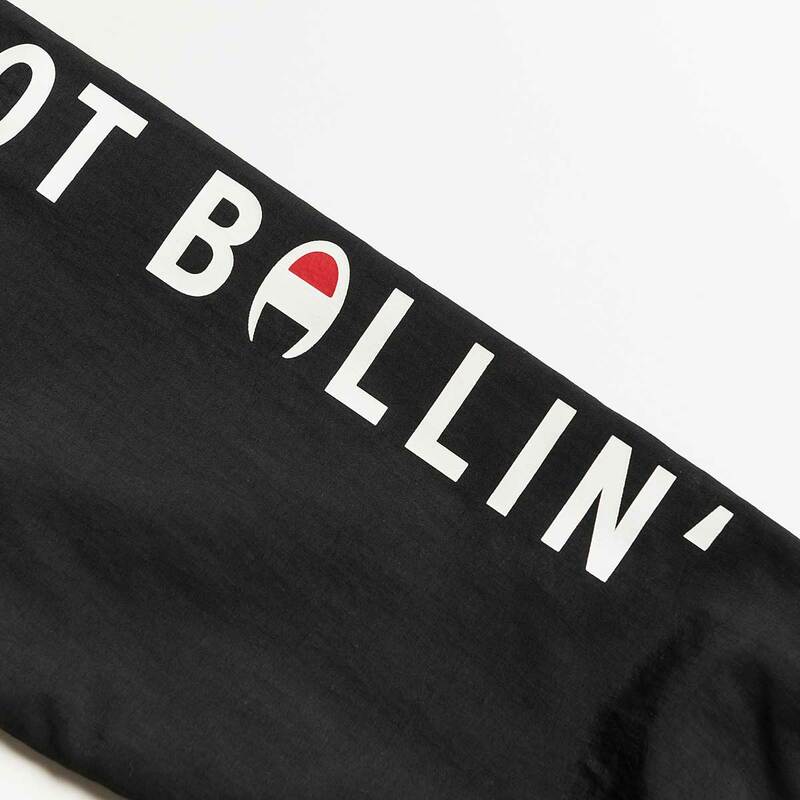 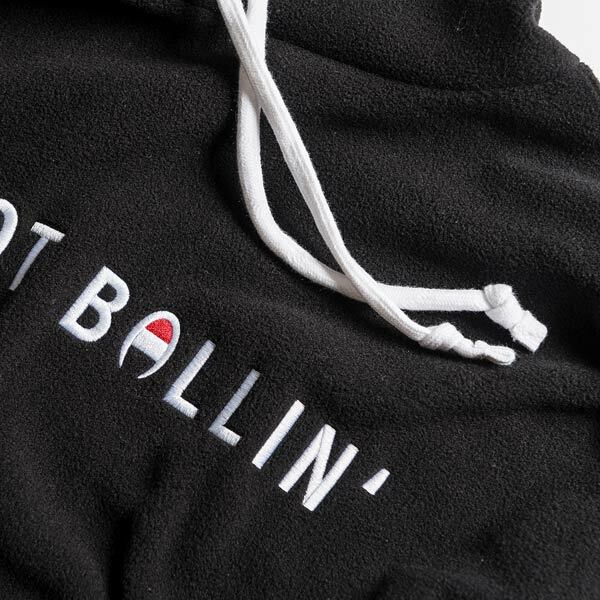 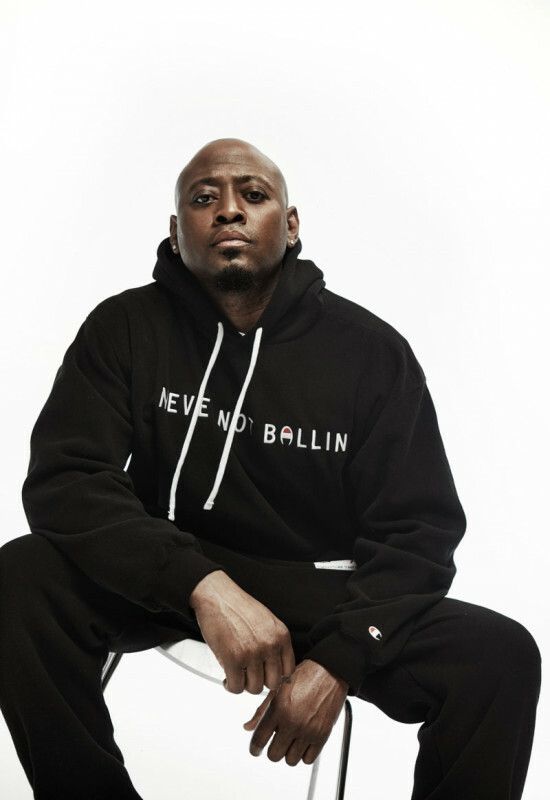 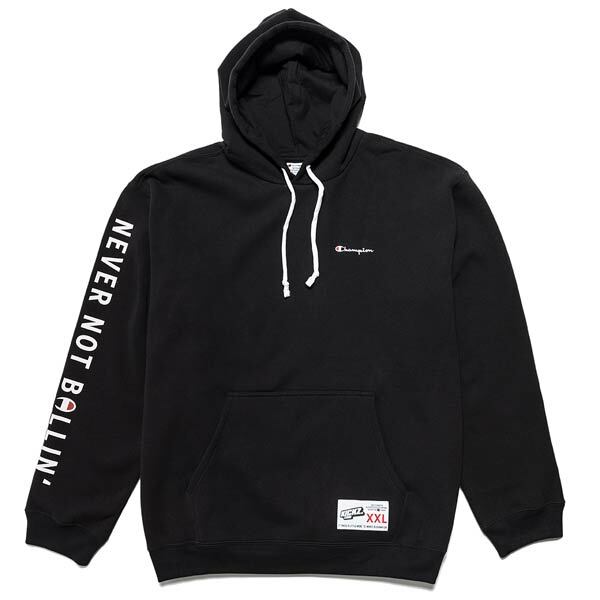 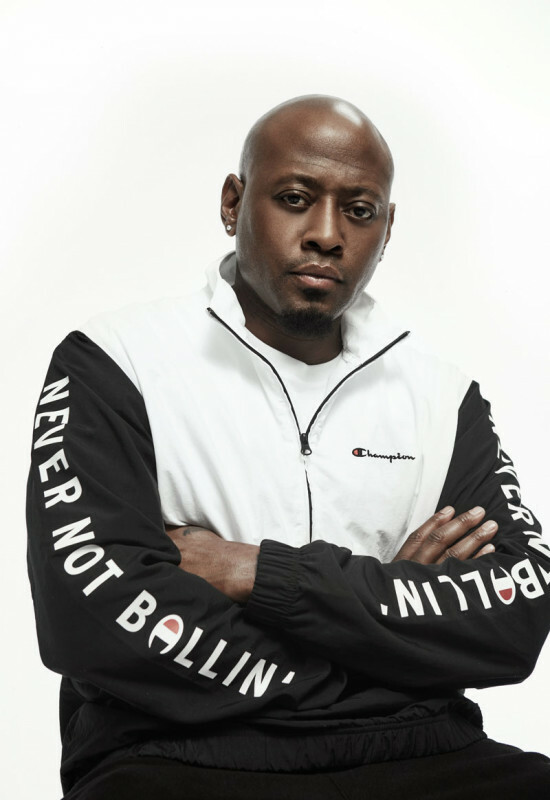 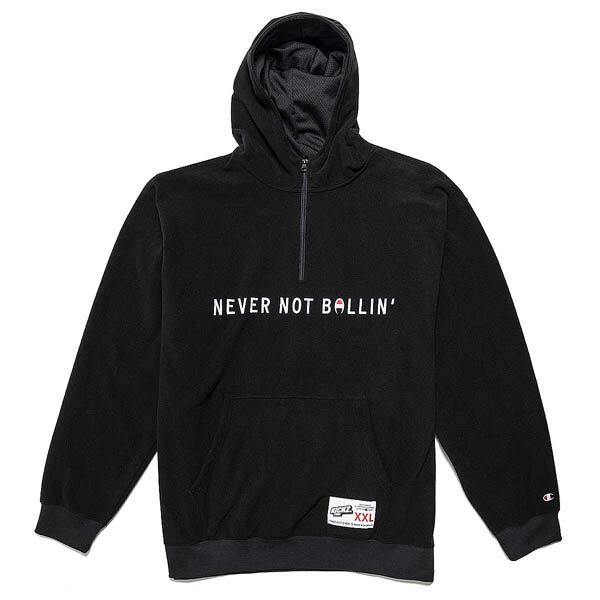 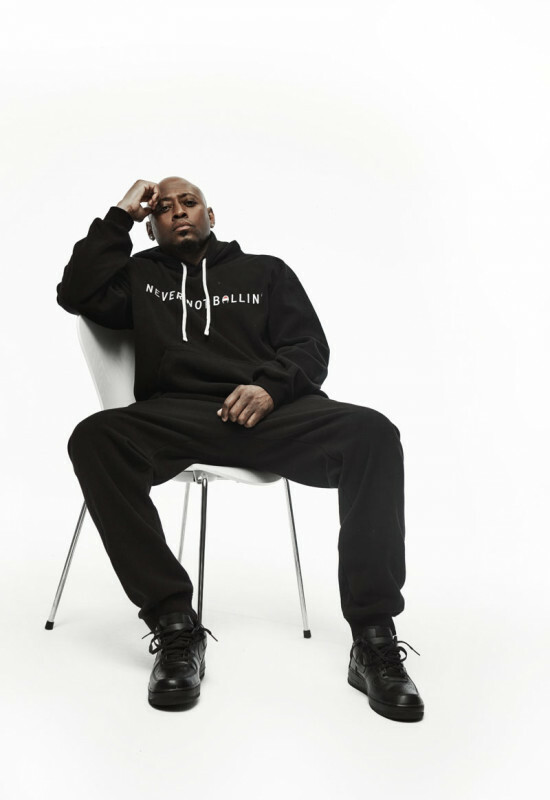 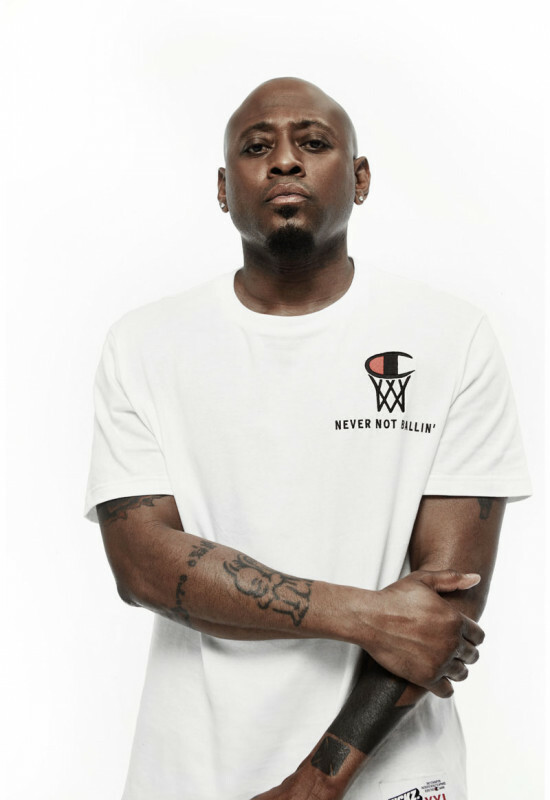 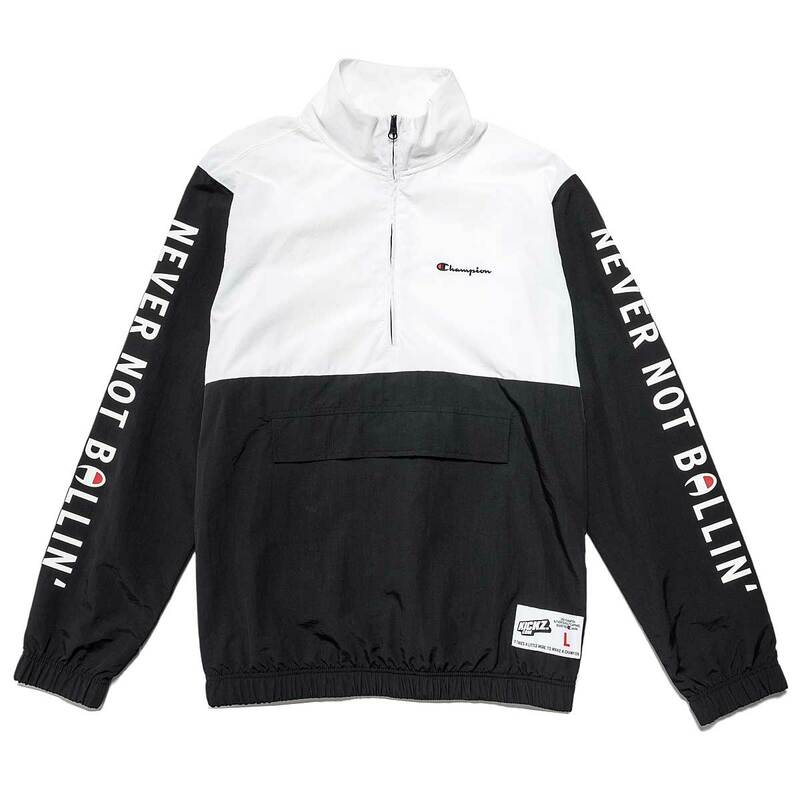 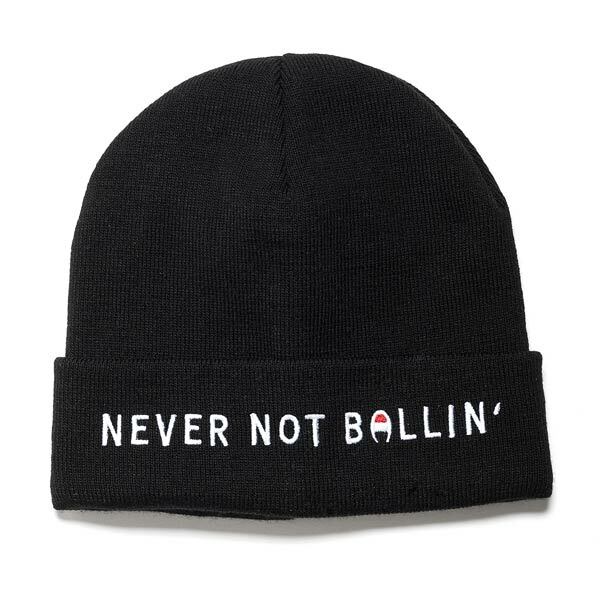 The featured “Never Not Ballin'” campaign is an official celebration for the 25th anniversary of KICKZ, who has always stood for streetball, streetwear and the relationship between the two since the brand launched in 1993. 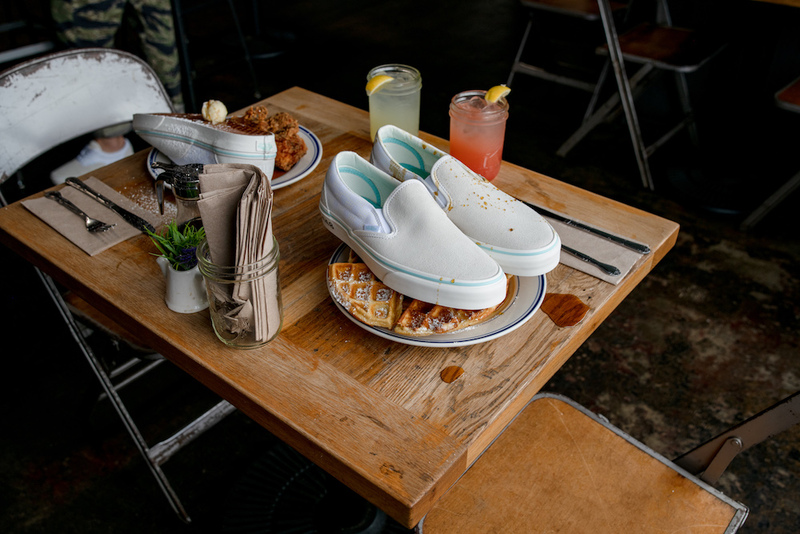 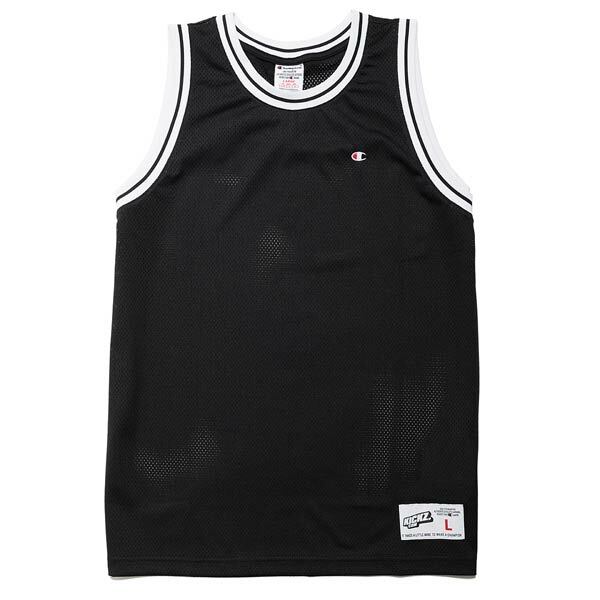 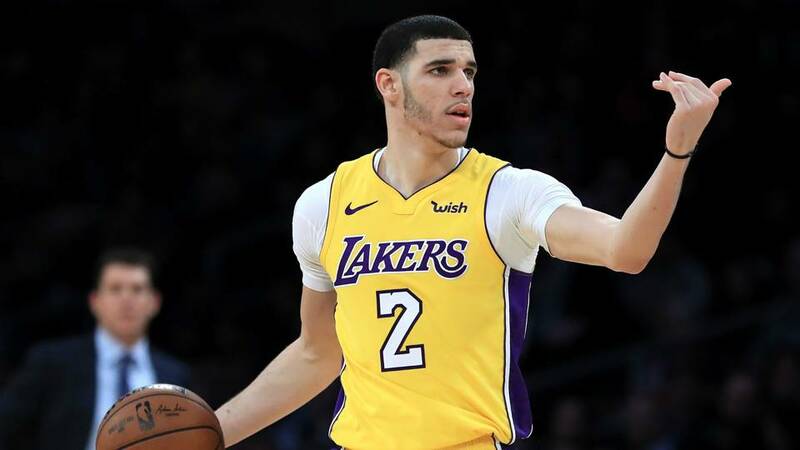 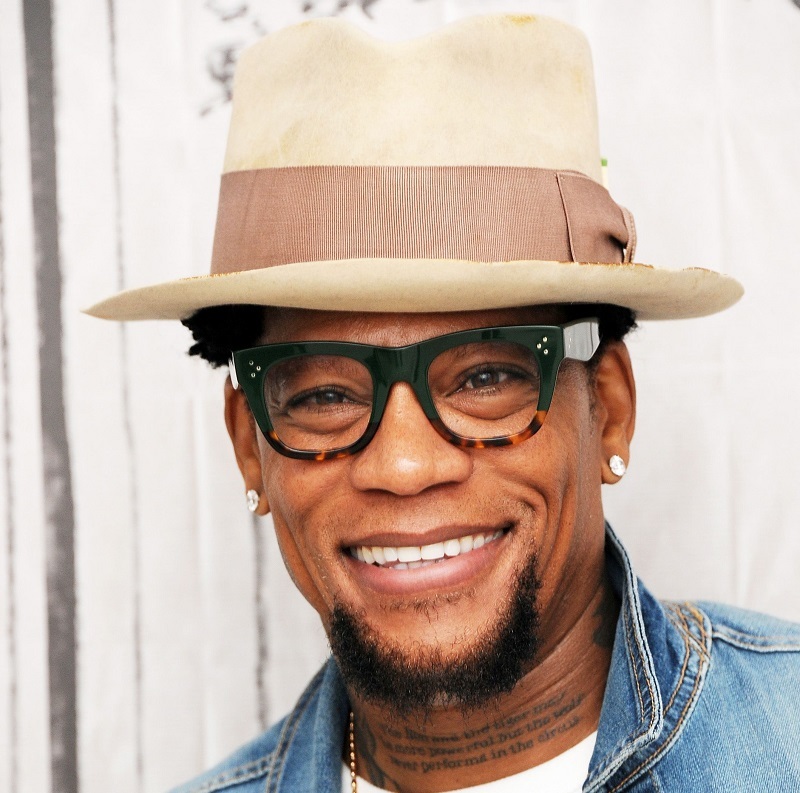 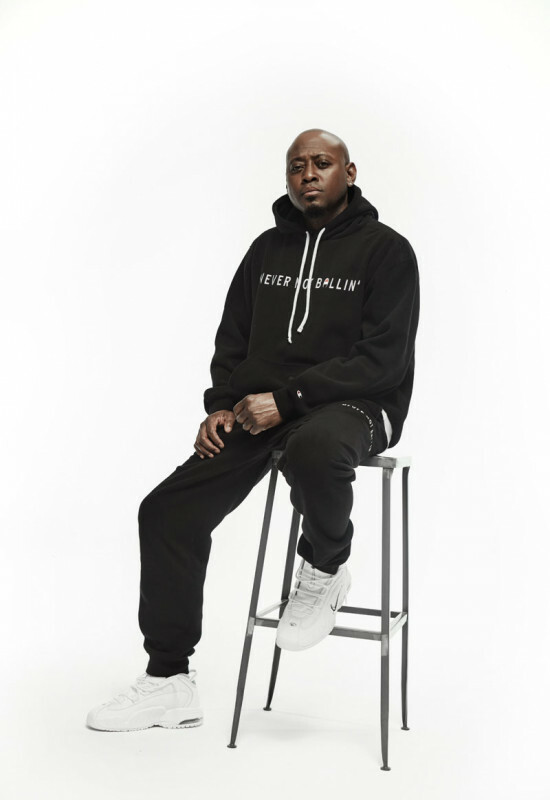 As a Brooklynite himself — he grew up throughout BK from East New York to East Flatbush — Epps shows off the gear with a borough-bred confidence that makes it pretty clear that nobody could’ve freaked this the way he did. 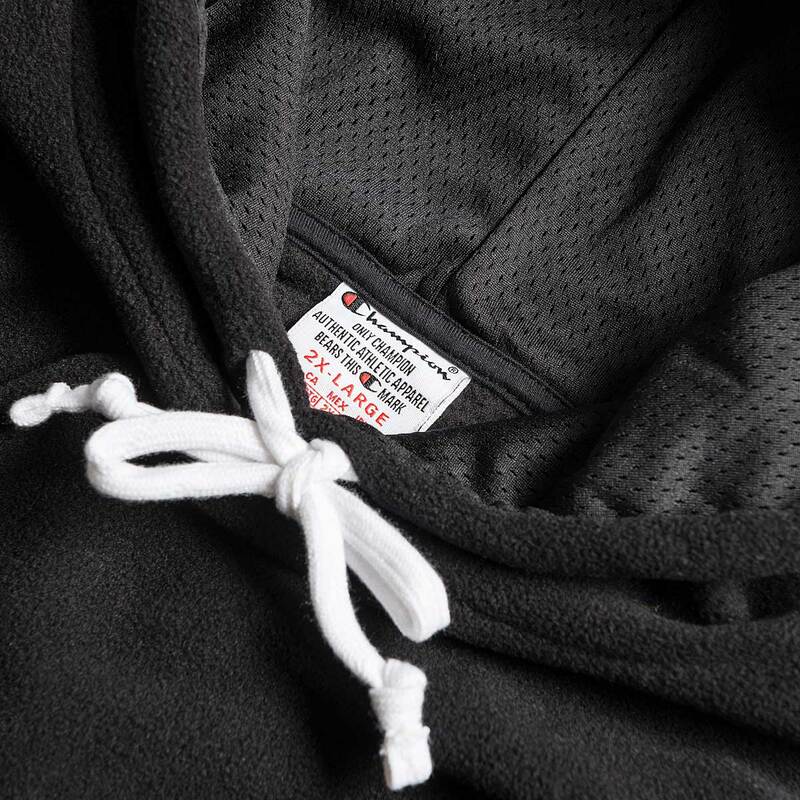 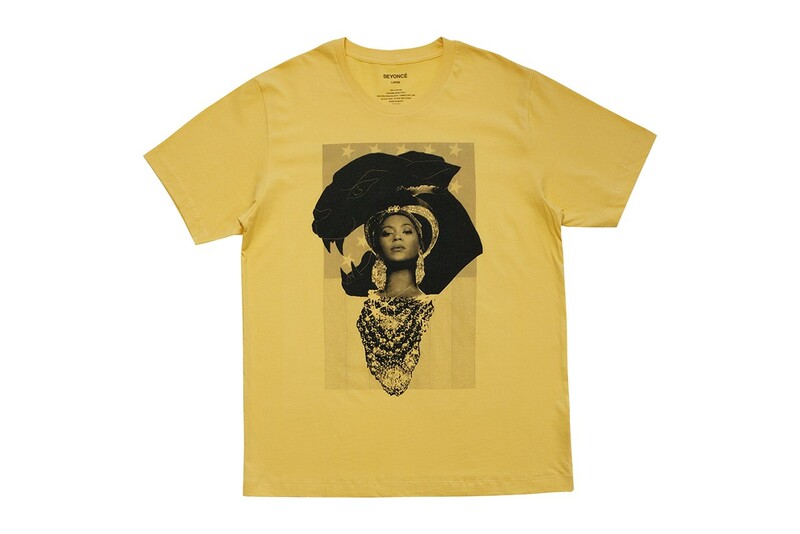 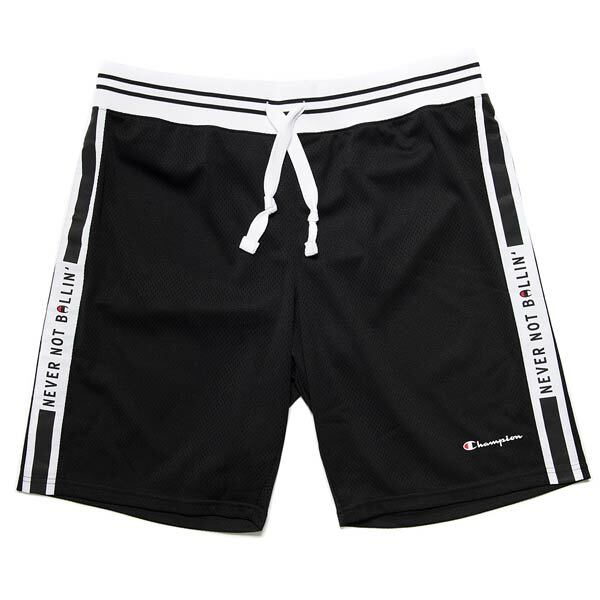 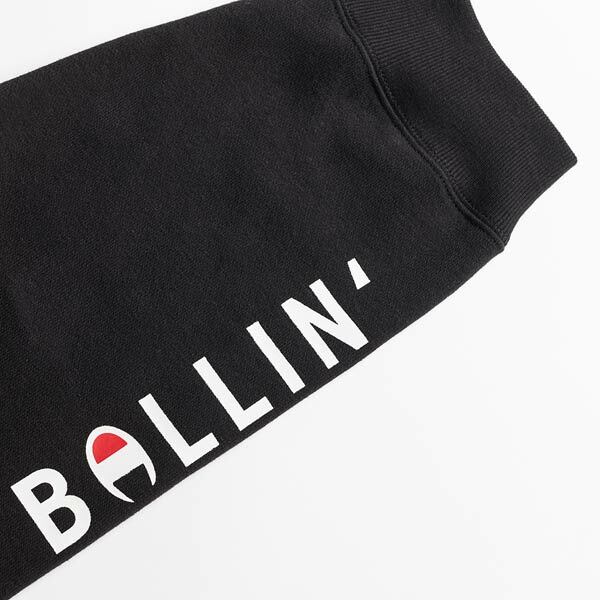 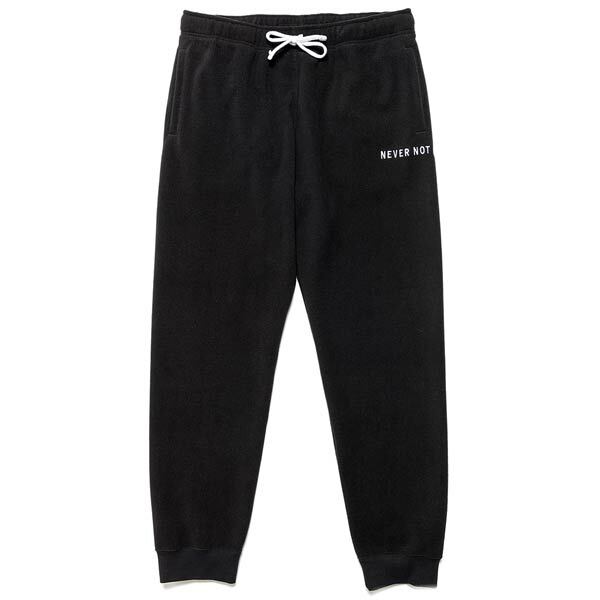 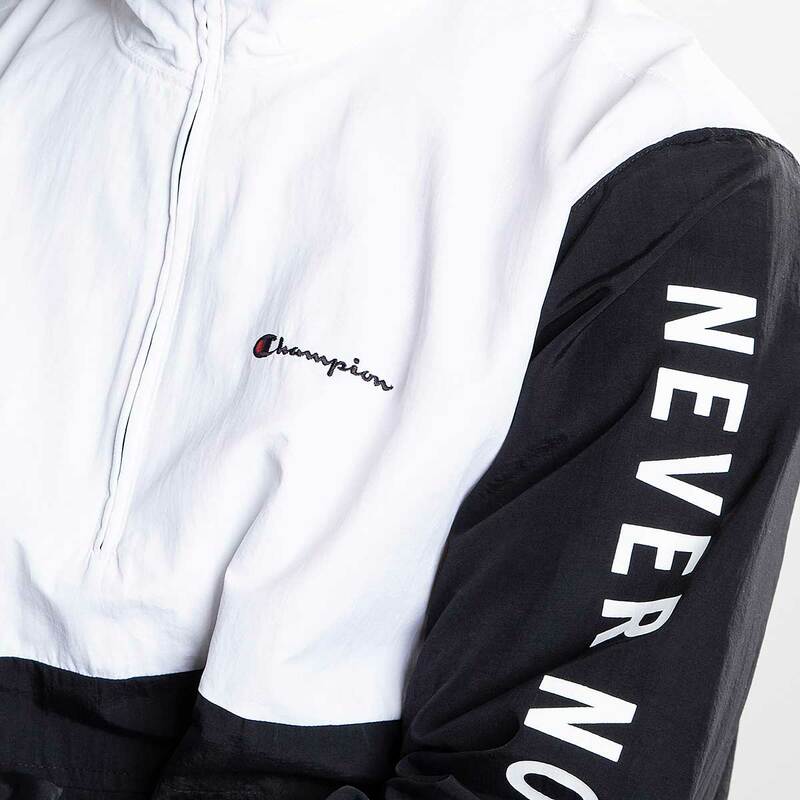 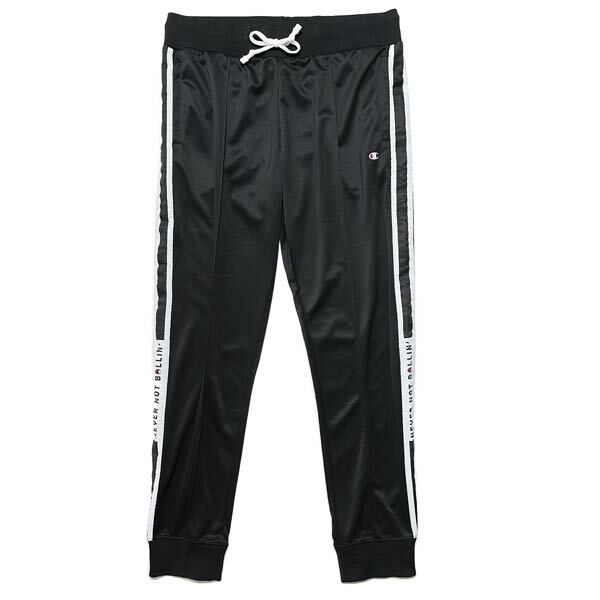 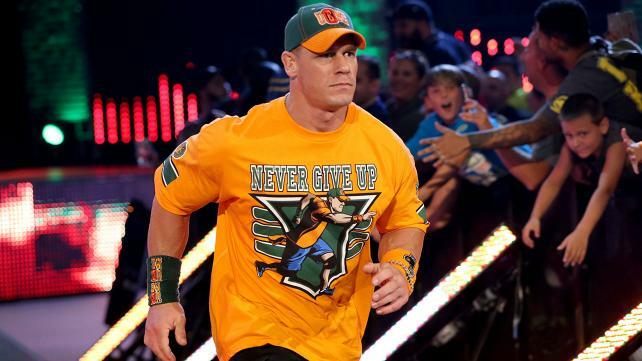 The set itself includes a little bit of everything, from joggers, crewneck sweaters and headwear to hoodies — pullovers and zip-up alike — classic T-Shirts and shorts for a full range of athletic apparel. 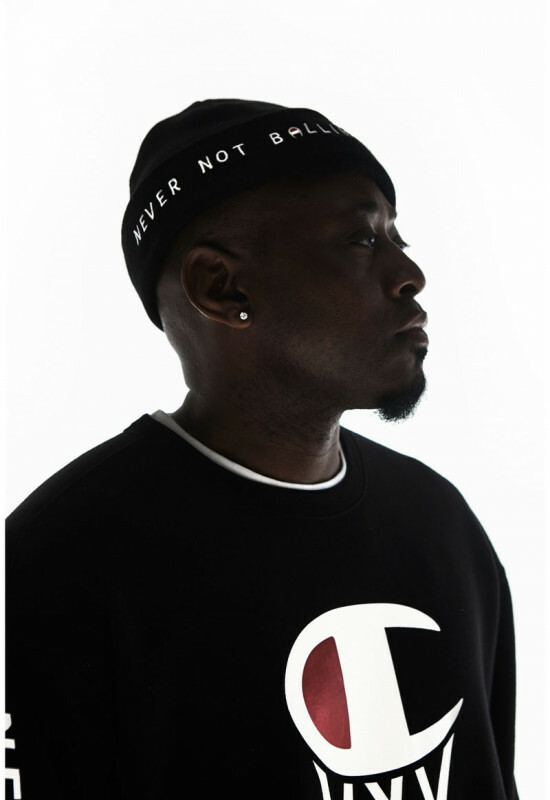 Oscar-worthy, for sure!